We found these red paper berry baskets at the after Christmas clearance sale. 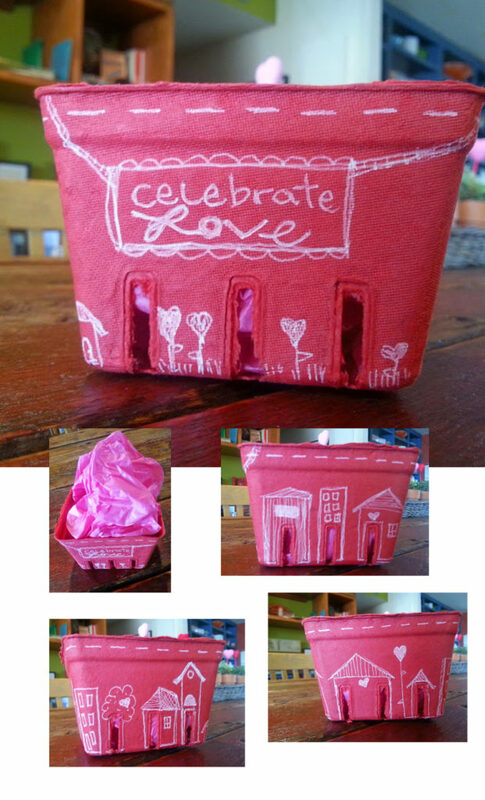 As soon as we spotted them we knew they would be perfect for hand-drawn Valentine’s Day gift baskets. We drew on them with white gel pens, filled them with treats and gave them to teachers and neighbors. Why should Christmas be the only holiday connected to ornaments? I made or found several Valentine’s ornaments to hang around the house this year. Each of these had a component from a Christmas ornament that I cut or clipped to make something new. More red and pink throughout – yes, please! 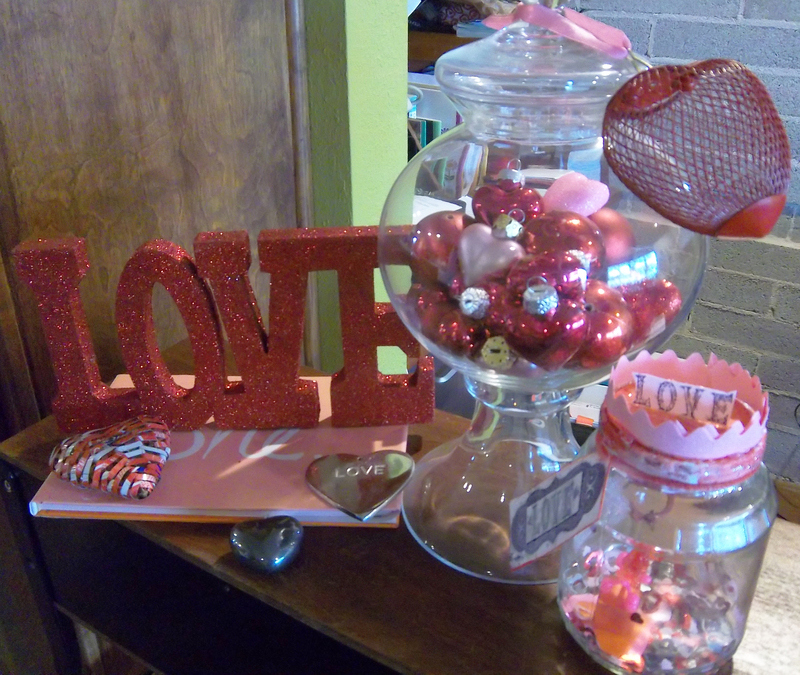 After I created my vintage bulb Valentine’s Day wreath I had bulbs and glass hearts left over as well as a few other Valentine’s Day items that I put all together to create a vitrine and a vignette scene. Ahh love – plus pink and red oh my! During Christmas I made a Vintage Christmas Bulb Wreath and loved it so much that I thought why not keep going for all different holidays and times of the year. I had a great time making this on for Valentines Day. 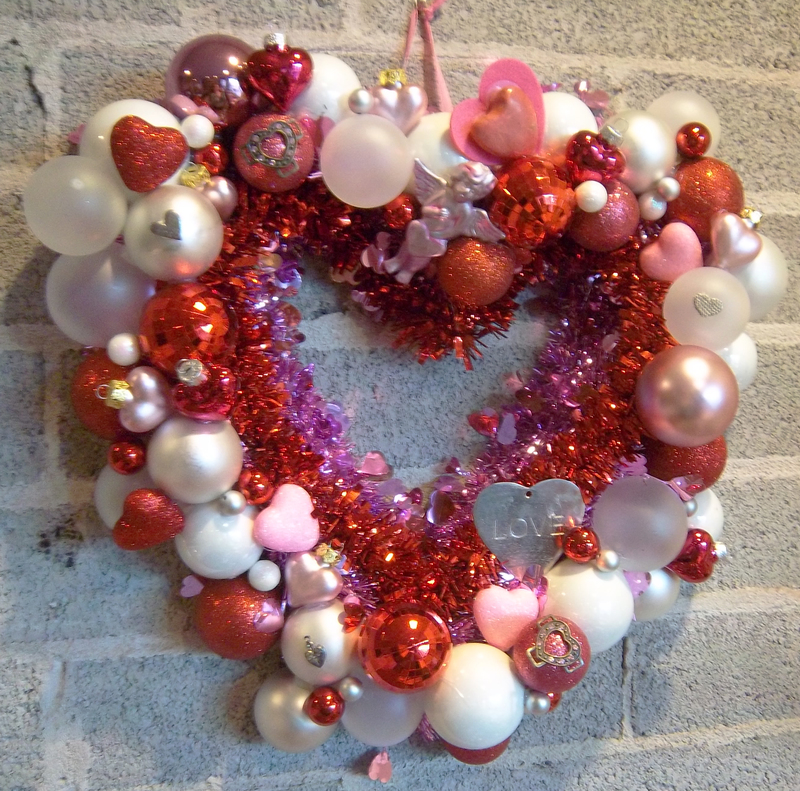 I bought a heart shaped wreath at Joann’s and then loaded it up with red, white and pink bulbs along with metal and plastic hearts I had on hand. LOVE! Next up St. Patrick’s Day – stay tuned for that in March.